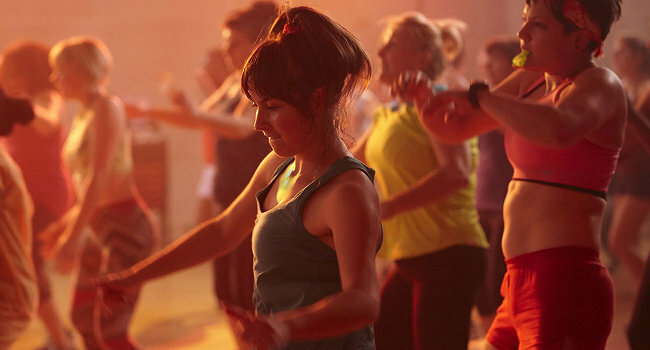 Our round-up of solid recent advertising sync is properly joyful this week – whatever these characters do, from finger-painting to fitness quests, they do with serious zest and top tunes. Of course Super Bowl teaser season is in full swing too: Snickers’ Brady Bunch parody looks to be thoroughly enjoyable, while Newcastle Brown Ale have upped the ante on every front, this time plumping for Aubrey Plaza’s much-vaunted brand of caustic indifference to match their self-aware brand. Skittles also promise to skew as offbeat as ever. Budweiser are dialing up the cute after last year’s puppy-driven hit, and Buzzfeed/Friskies continue a winning formula of seasoning their fluffiness with feline haughtiness. Victoria’s Secret, so far the top performer in views, has already released its full Valentine’s Day-themed spot, in which the Angels wear their best game faces and surprisingly substantial uniforms. Reminiscent of Lurpak’s glorious, Cannes-crowned ad last spring (in fact you can catch director Vince Squibb’s work for Cesar below), this uses Tchaikovsky at his most elegant to complement the gorgeously crisp food-and face-centric closeups and dynamic cuts, capturing a vivid sense of tactile wonder and discovery as the spot’s tiny stars bash, splash and splatter their way through their brave new world. Mother’s latest is another enjoyable slice of sweeping and emotive battiness. A flock of simultaneously avian and anthropomorphized t-shirts (just look at them huddle!) battle their way across land and sea, searching for a home. Film trailer specialists Two Steps From Hell lend the spot a cinematic pathos and build. Cesar’s quite lovely vignette of a night watchman and his dog makes the graveyard shift look like a ball. Satie’s Je Te Vuex adds a carefree, swinging jauntiness to the pair’s sweet mischief. Sport England encourages woman of all ages and shapes to get moving for the sheer fun of it with a pounding, punching, popping spot. Not everyone has agreed on the copy, but there’s no denying the ad’s vigour and endorphin-pumping energy, powered by and perfectly cut to Missy Elliott’s bhangra-bumping ‘Get Ur Freak On’.